The Robert van Sice Signature Keyboard mallets from Vic Firth feature a heavy synthetic core that produces a very robust and complete sound. These yarn wound marimba mallets have been crafted with an exclusive hand-wrapping technique that virtually eliminates the sound of bar contact. A special interlocking stitch pattern maintains the integrity of the head. The maple handles are 17″ long and provide an excellent feel and control. With a full depth of sound and excellent versatility of color, these mallets are the perfect choice for music from Japanese repertoire and pieces demanding multiple layers of timbre. 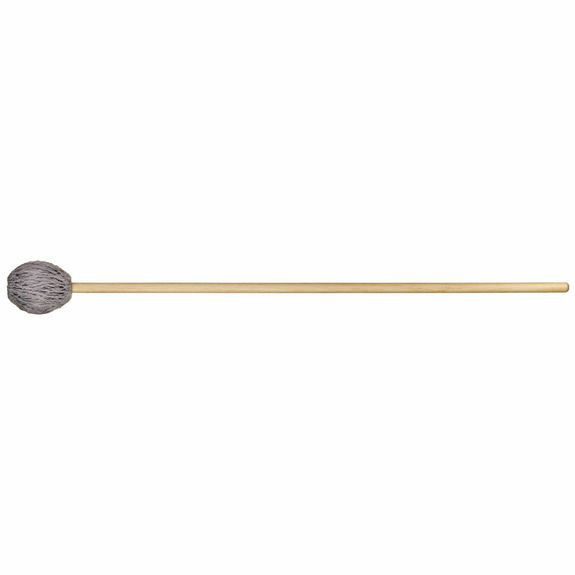 The M124 medium mallets are the most popular in the series. They feature an extraordinary range of color. No multimedia for this product. This mallet series is by far my favorite series for solo performance marimba, I do not practice with these all the time because I am concerned they may way out faster than I'd like so I just try and preserve them. But these are amazing for performance, never any contact sound but each note doesn't get muffled. Absolutely an amazing purchase. These were a gift for my wife. She loves the mallets and says they have the best sound and are super light. Thanks again. Normally my mallets frey pretty quickly because I play so much. These have the best durability I have encountered yet. They have amazing tone range and I couldn't be happier with them. They're great planning on buying more. I've been playing marimba and vibraphone for more than 40 years, always searching for the "ideal" mallet. For marimba, I have to rate new Vic Firth Robert Van Sice a major breakthrough. The construction of the core and complex wrapping provides the player with a broad range of colors in all octaves of the instrument, something that previous mallets failed to achieve. So far I haven't found a tone or color which these mallets fail to produce as I intended them. Since I have been using them for only a month or so, I cannot comment on their durability, but a previous version of the Van Sice mallets made by Vic Firth have held up well after four years, so I am optimistic about the current model. These mallets are one of the best multi-tonal marimba mallets I have ever seen. They are perfect for playing legato passages, to playing loud articulated passages in the higher octave ranges. It is amazing how much dynamic range these mallets have. I highly recommend these mallets, especially for solo marimba repertoire.